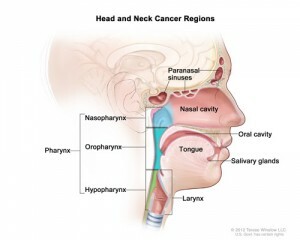 Home » About » Blog » What Exactly is a “Head and Neck” Cancer? Surgery had been the standard treatment for head and neck cancers for a very long time. Over the last 20 years, however, the role and effectiveness of chemotherapy and radiation has become stronger. What we know for certain is that all head and neck cancers are not the same. While many of these cancers can be attributed to drinking or smoking, others can result from viruses such as the Human Papilloma Virus (HPV). Unfortunately, most are due to just bad luck. Treatment for these cancers can be complex and requires the input of multiple experts who work as a team in order to provide the best care. As a head and neck surgeon, I strongly feel that patients benefit when a team of physicians is managing his or her care. This can include, but is not limited to radiation, medical and surgical oncologists, speech and language pathologists, plastic surgeons, physical therapists, radiologists and pathologists. The multidisciplinary team approach is reflective of the complex locations and treatment of these cancers. Although this article refers only to head and neck cancer and treatment for cancers of the mucosa (i.e squamous cell carcinoma), many other tumors of the head and neck are treated by head and neck surgeons. They include tumors and cancer of the salivary glands (e.g. parotid, submandibular gland), skin (e.g. melanoma), thyroid and sinuses. I invite you to follow this blog, as I will be writing about other types of cancer in the future.